Last week, myself and my father made the 4 hour trip to Clydebank, Glasgow to visit my first ever whisky distillery – Auchentoshan. Why Auchentoshan? Well it’s the only whisky producer in Scotland to use triple-distillation, and one of only 5 distilleries in the Lowland area. Legend also has it, that you need to start in the Lowlands to truly open your palate up to the delights of Scotch. 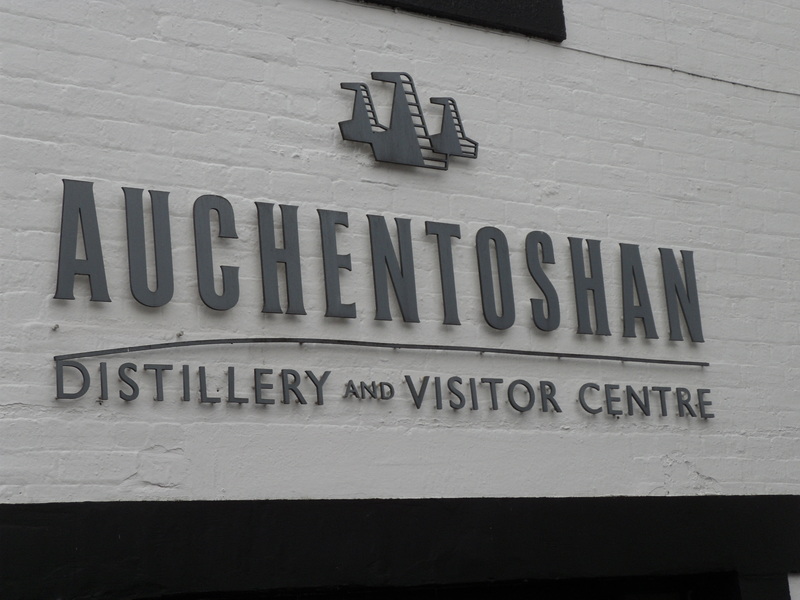 Located close to the River Clyde, the rather picturesque setting of the Auchetoshan distillery invites you in via their visitors centre. Here you can sign up for one of four tours available, from a classic tour to the ‘Ultimate Auchentoshan Experience’ tour, and if you have a spare £200 available, you can even explore the delights of Auchentoshan ‘after-hours’. We selected to go for their ‘Classic Tour’, and while waiting to see if any others will be joining, sat in their auditorium as a short film was played introducing Auchentoshan to those who were not too familiar. It turned out, granted it was the middle of January, that we were the only two up for the tour at this time, so we were greeted my Mehj, our tour-guide for the hour. Mehj started by explaining the areas of Scotland and the categories that now define the Scotch whisky industry, as well as the two sister distilleries that are asscociated with Auchentoshan – Bowmore and Glen Garioch. A brief history of Auchentoshan followed, explaining that the name ‘Auchentoshan’ means ‘corner of the field’. The distillery was officially granted a license and opened in 1823, although there is evidence that a distillery was operating on the same site from the late 1700s. 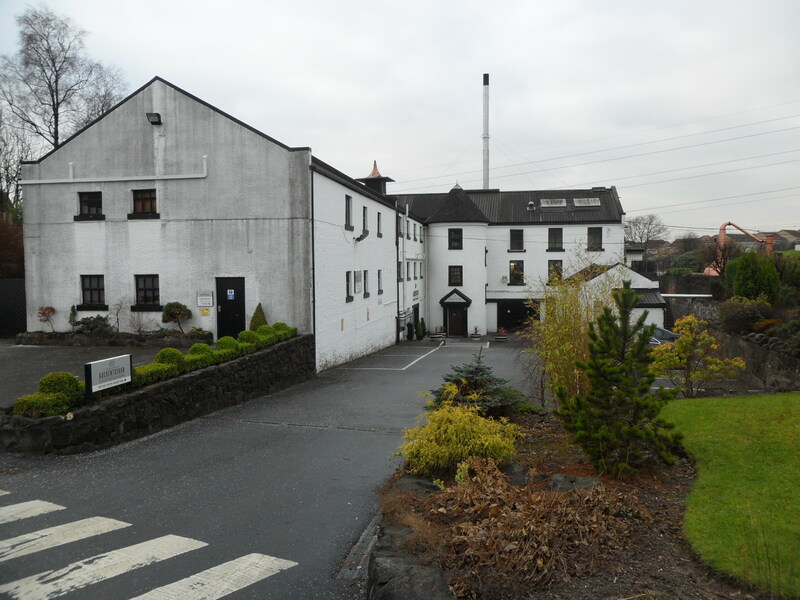 The distillery has changed ownership on several occasions in its history, including a spell under Scottish brewing firm, Tenants during the 1960s. The current owners are Morrison Bowmore, who took control in 1984 and were subsequently taken over 10 years laer by Japanese drinks company Suntory. With a ressurgance in recent years, consumption can now be granted to the US, Canada, Nordic countries as well as Russia. Auchentoshan use malted optic barley which spends 2 days soaked in water and then gently kilned. The barley is then ground into grist which maximises the amount of starch that converts into sugars during the mashing process. After milling, it is then ready for combining with yeast and water from Loch Katrine. 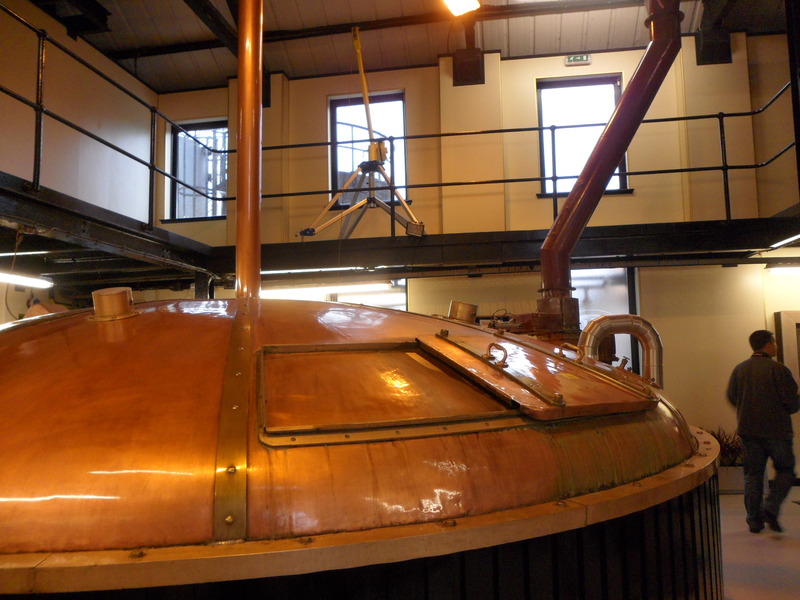 The barley is fed into a lauter tun (a huge copper pot) and combined with the Lock Katrine water first at 63.5°C. The second filling is at 74°C and left fr 1 1/2 hours, and the third at 94°C (the heat helps turn the starches into sugar). After two fillings, its ready for fermentation (the third filling is used as the first water in the next mash). The fermentation process happens in 6 metre deep Oregon Pine washbacks. 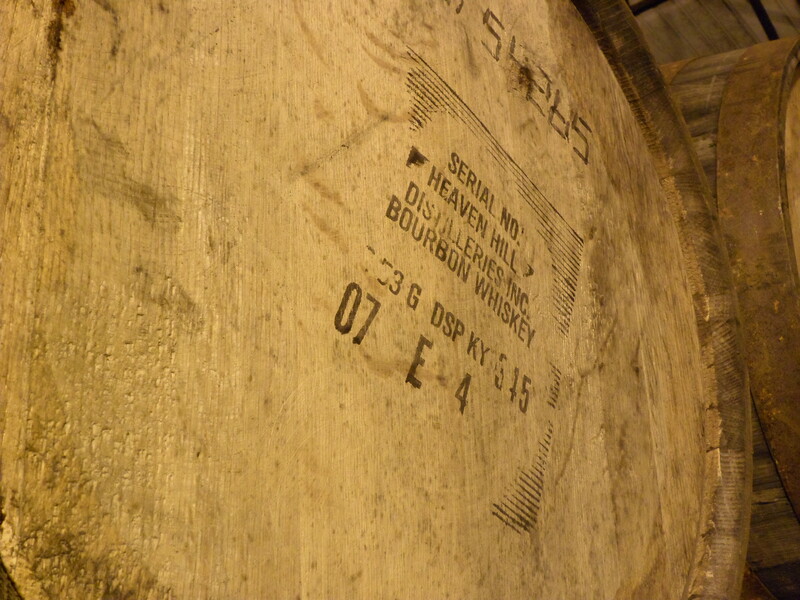 Steeped for 5 days, it creates 35,000 litres of fermented wash at 8% ABV. At the end of the 5 days, the wash is pumped through to the first of three copper pot stills, the wash still. This huge room, sweltering from the heat of the three pot stills houses is where the uniqueness of Auchentoshan begins. Heated at 94°C, the vaporised alcohol slowly makes its way up the still and through the lyne arm that leads to the condenser. The left over ‘pot ale’ is then sold as fertiliser. Pipes in the condenser pump cold water around, condensing the alcohol vapour into liquid or ‘low wine’ and is then pumped through the ‘spirit safe’ where they now get the chance to control the condensed spirit. The actual spirit distillate begins life as something known as fore-shots. This is the remnants of the previous distillation combined with the current distillation (the fore-shots don’t make it any further – they’re recycled through the spirit safe into the feints receiver). After eight minutes of fore-shots, the spirit starts to runs clear. This is known as the ‘new make spirit’. This ‘new make spirit’, is collected in the intermediate spirit receiver until the alcohol content drops to 80% ABV. The last process is known as ‘off spirit’, which is a second cut. This ‘second cut’ is recycled by redistilling. The ‘new make spirit’ makes its way to the intermediate still, at 19% ABV and around 16,400 litres. Again heated up, the alcohol vapour travels up and through the lyne arm, and cooled in a condenser where it is then pumped through the spirit safe and into the feints receiver. 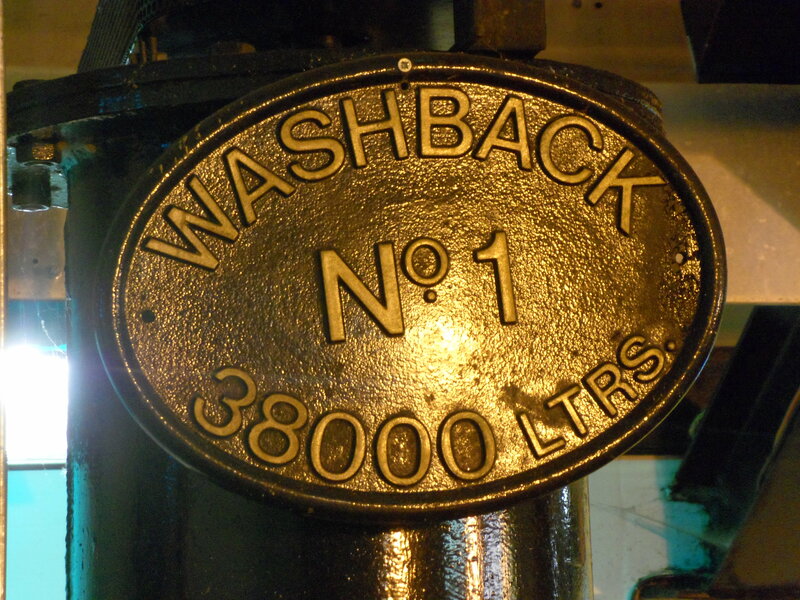 Finally, they take the high strength feints and distil 2600 litres in the spirit still. After passing through the spirit safe for the third time, it hits the spirit receiver at between 80 and 82.6%. Here it is now ready to be cask filled at a strength of 63.5%. 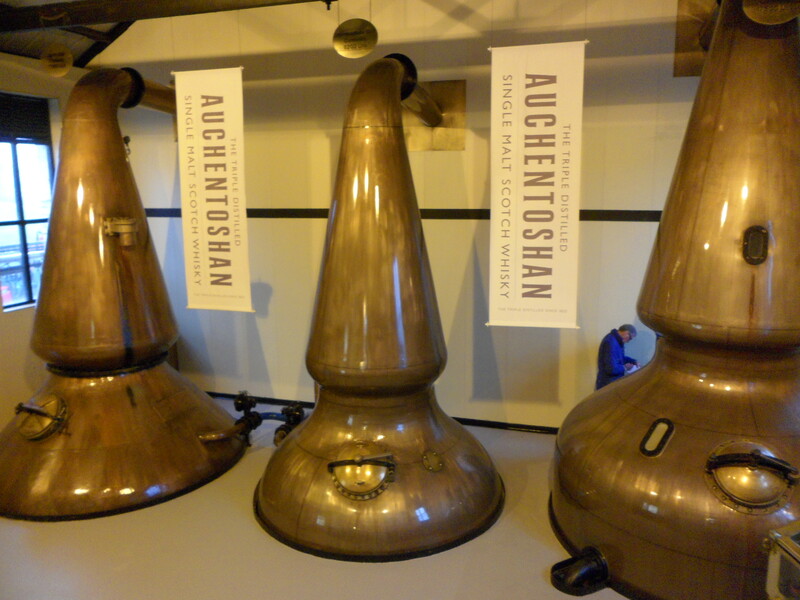 The Auchentoshan distillation process takes the fermented liquid from 8% ABV to 80%, a unique number resulted from the triple-distillation instead of the more usual double-distillation that usually reached just 70% ABV. Matured for 12 years, an instant burst of citrus flavours hits your nose, with a destinct toffee aroma floating rather quickly behind. Very smooth on the palate, with raisin and nut blending nicely with a sweetness lingering soon after, with a small hint of ginger. Matured in three different cask types, American bourbon to Spanish Oloroso sherry and finishing in Pedro Ximenez sherry casks, a nose of deep sweetness, orange and raisin mix extremely well, with a heavy dose of black currant to finish. The palate has some dry fruitness of raisin, with fresh lemon and butterscotch dancing slowly resulting in a long oak finish. 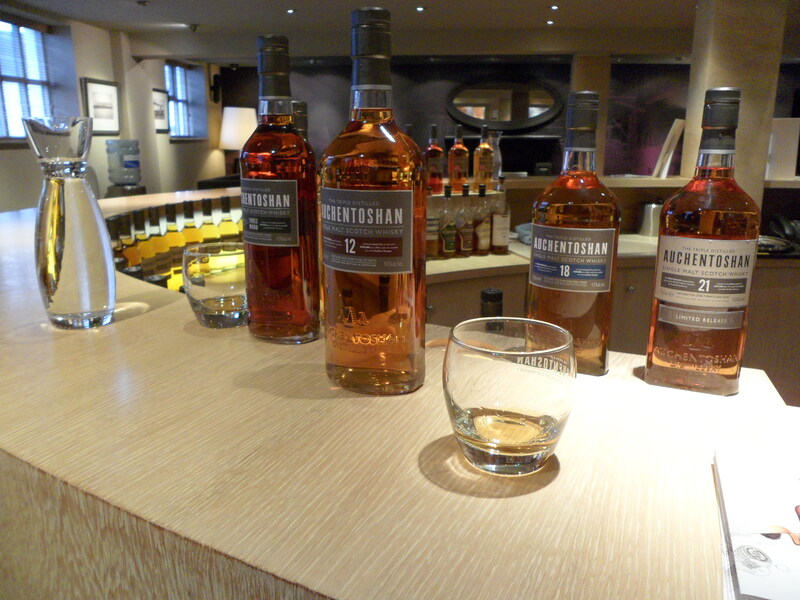 Two fine starts to the Scotland tour, and a rather in depth teaching of how Auchentoshan differ from all the rest. It’s great to see in person the size of the wash backs, the copper pot stills and the magic of a whisky warehouse, and I can finally truly grasp and appreciate the work that goes into creating a spirit that we can all safely say, has been around for donkeys years. Check out the rest of the photos from the Auchentoshan distillery here, and my article on the brand, including other Auchentoshan expressions, here. nowadays are so small, the incisions made in the skin when performing chin lipo are very tiny. out of a meeting just because they reside in another geography. as vehemently disagree with the approaches used by their fellow coaches. skin, thereby making the hyoid bone more apparent. Generally considered to be one of the best all round forms of exercise. from it, in fact, though that’s a common misconception. age. Read original article Sattva Steps on Cairo360Article Source: reviews and Cairo guide on Cairo 360.
different excercise sessions already installed on them. skin, erase wrinkles, get a lot more youthful appearance click here -. Have you ever considered facial massaging to help reverse the effects of time and stress. process have beautiful skin, erase wrinkles, get a lot more youthful appearance click here -. to be fine for Pole Dancing.